Hello everyone and welcome to another edition of Mastication Monologues! 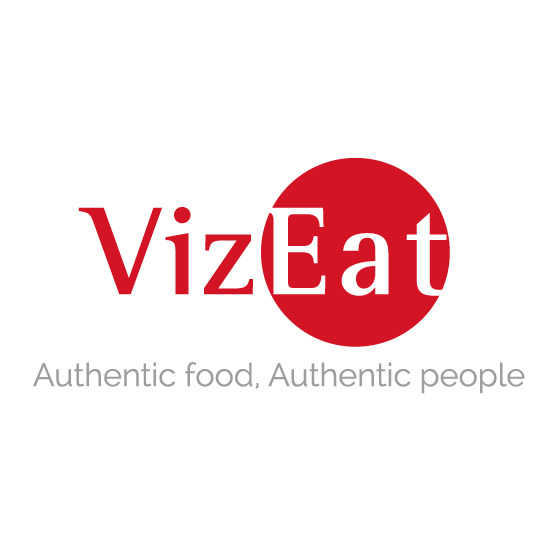 If this is your first time coming on the site, I’ve been writing about my adventures to Hong Kong and Taiwan, so check out the previous posts if you want to get caught up with all of my latest dietary adventures. Today’s post will be focusing on my second day in Taiwan which was very hot, humid, and happy since I tried a crazy amount of foods that I’ve never tried before. 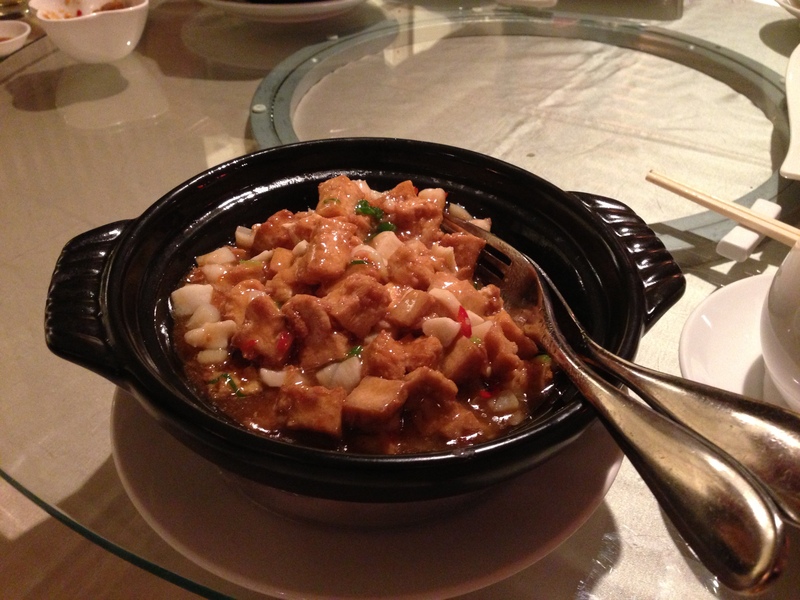 First, there was the National Palace Museum restaurant. If there is one museum you need to check out in Taipei, it’s the National Palace Museum. The only downside is that it is jam-packed with hordes of Chinese tour groups. Nevertheless, it’s filled with priceless Chinese antiquities that are simply breathtaking especially some of the precious jade statues. Walking around the giant complex caused me to work up an appetite, so I tried their restaurant which is by the second exhibition hall. I ended up getting the beef noodle soup with a side of “rice with lard”. 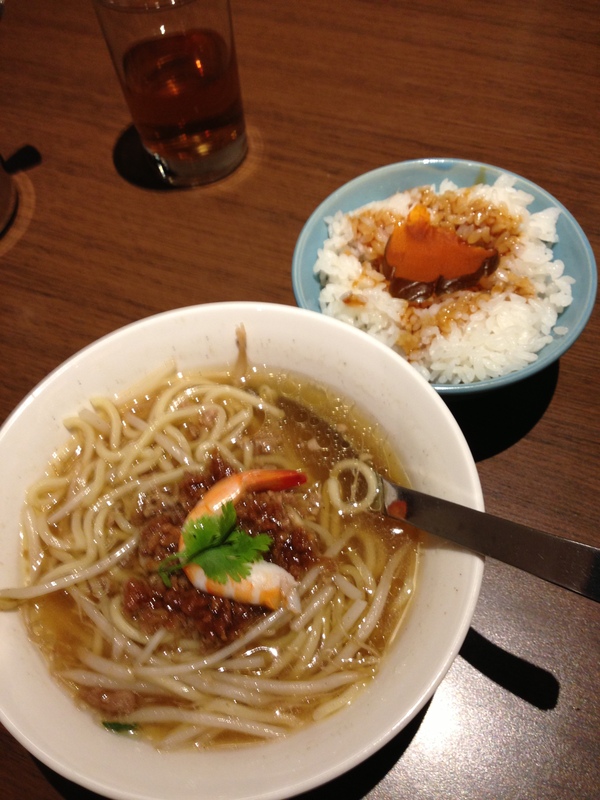 The beef noodle soup was similar to the bowl I had back in Hong Kong at Din Tai Fung, i.e. a beefy ambrosia of sorts. As for the rice, it was great ,but I suspect there was a problem with the translation on the menu because I think what they meant was that it was fried rice with a slice of sweet potato on the top along with a soupçon of soy sauce. I was expecting rice mixed with chunky white shortening or something along those lines. Then there was dessert which was a tofu soup with peanuts. 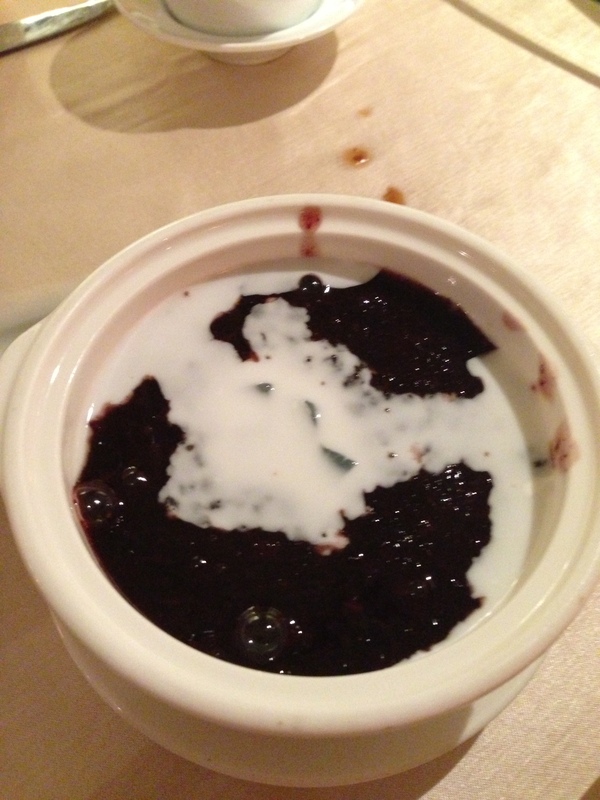 I’m normally not a huge tofu eater, but I commend them for making the bland bean paste edible. Then again it was quite easy since it was soaking in cold sugary soup along with semi-soft peanuts. Not my all time favorite dessert, but at least I tried something new. As a whole, this restaurant was alright for Taiwanese food, but nothing compared to my dinner with the Wu/Ni family. While I was eating lunch, Ms. Wu called me up to arrange dinner plans with the family for the Moon Cake festival. After a few brief conversations, I found myself later that afternoon at the San Want Hotel. I met my friend David’s cousins and grandparents. We exchanged a few pleasantries before getting down to business with the food. My plate was quickly filled as everyone was chucking food at me to try, and I didn’t know where to start since it was all new to me. 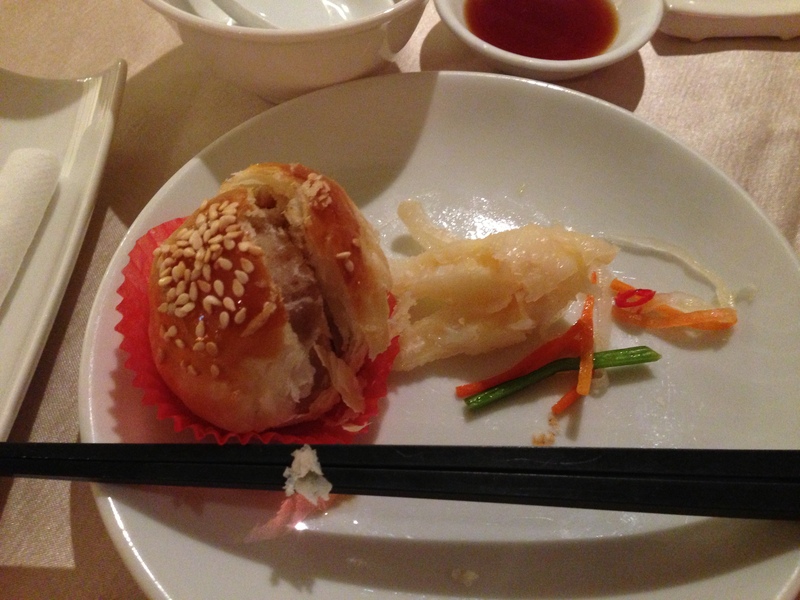 I’ll start with the flaky pork buns and pickled chicken feet. 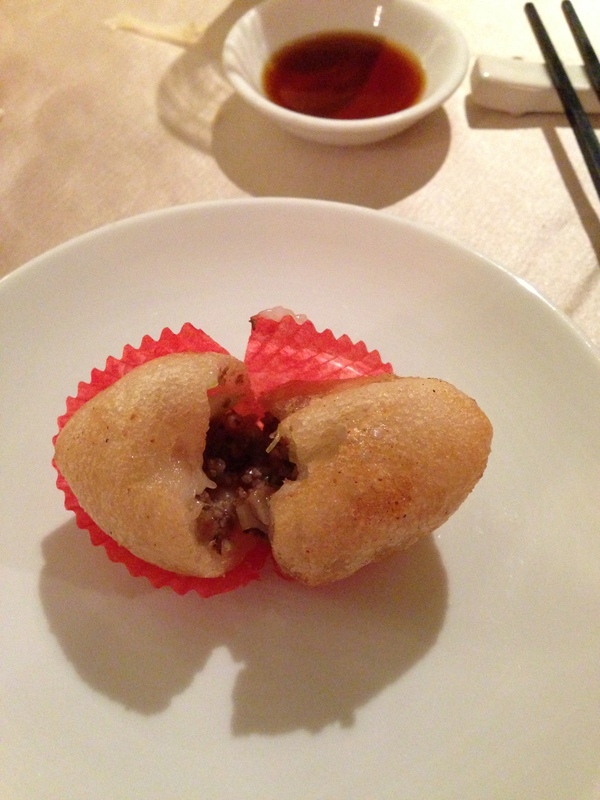 The former consisted of a ball of lightly seasoned pork nestled within a multi-layered, flaky dumpling shell. As for the latter, they were a bit rubbery and thankfully lacking the bones of their dim sum counterparts I had back in Chicago. They just really tasted briny with a hint of chicken. Moving on from there, we had the duck blood which I was really jonesing to try since I heard it was a Taiwanese delicacy. 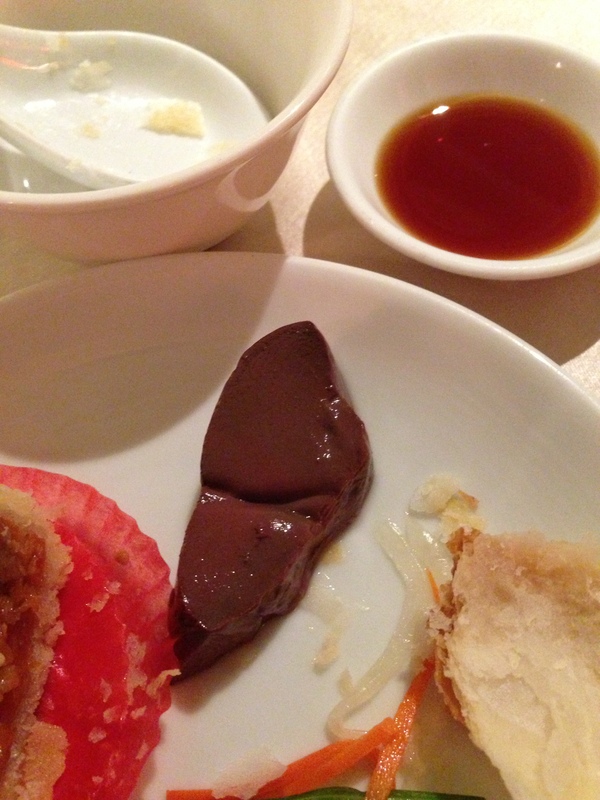 When I first saw the duck blood cakes, I thought they were large pieces of liver due to the texture and color, but when I popped the piece in my mouth, it didn’t have the same granular texture of liver. Instead I was greeted with a rich, mildly iron-tinged caress from the sanguineous specialty. I liked it. 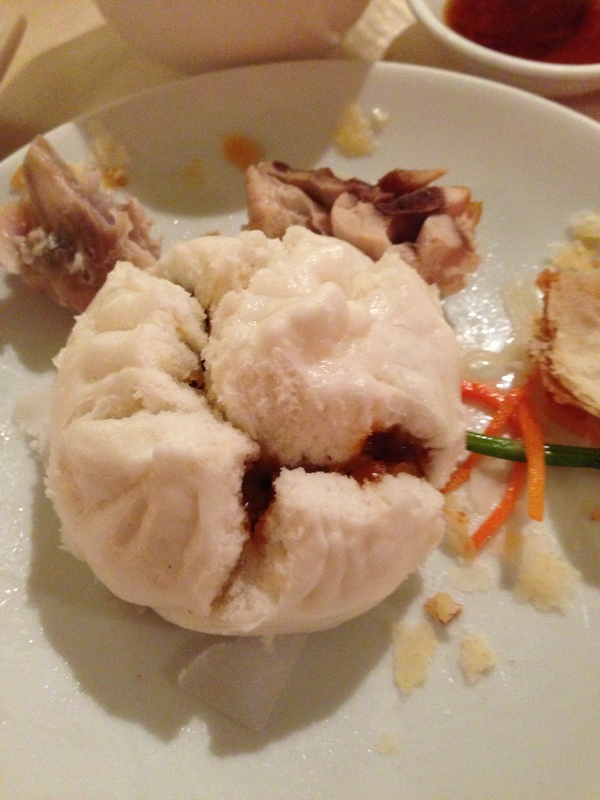 Next came the barbecue pork buns which were like heaven. Imagine a pulled pork sandwich minus the risk of losing a single shred of piggy. It was a sweet and savory nugget of glory. The following two dishes continued the line of fantastic foods. 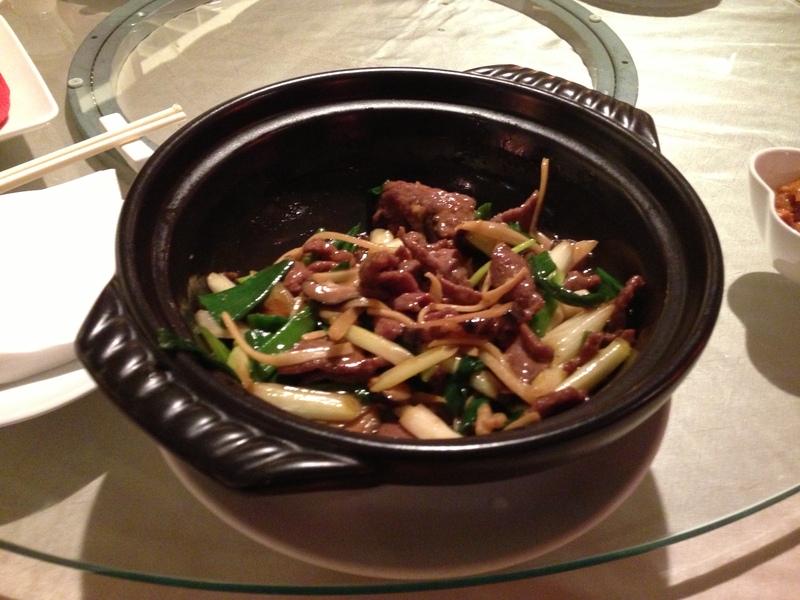 First, there was the ginger beef which kind of tasted like something you could find at a Chinese American restaurant back home in terms of the ingredients found in the bowl like marinated pieces of beef in a garlic ginger sauce along with sprigs of green onions. The other bowl contained a similarly stewed tofu dish that once again proved my hate for the squishy soy product wrong with its beefy gravy and peppers. After these somewhat heavier foods, I took a break with a lighter type of dumpling that I could only liken to a Chinese version of a croquette, but the dough was fried minus bread crumbs. On the inside there was minced beef along with vegetables. The next food won points in my book not just for the rich seaweed taste, but also for presentation points. 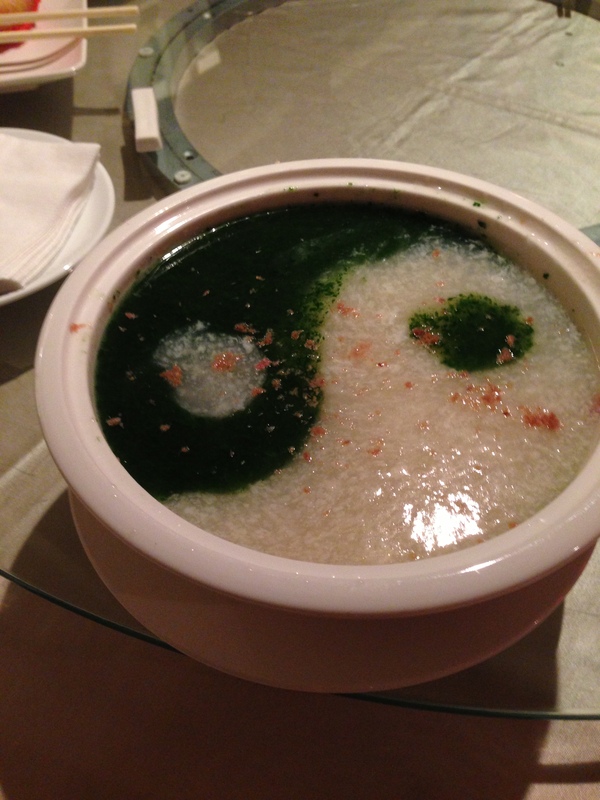 This Taoist inspired soup was an egg based broth with an infusion of seaweed. The last dinner course was the stinky fish rice which pretty much was what it sounds like, but it wasn’t as odoriferous as I was anticipating. 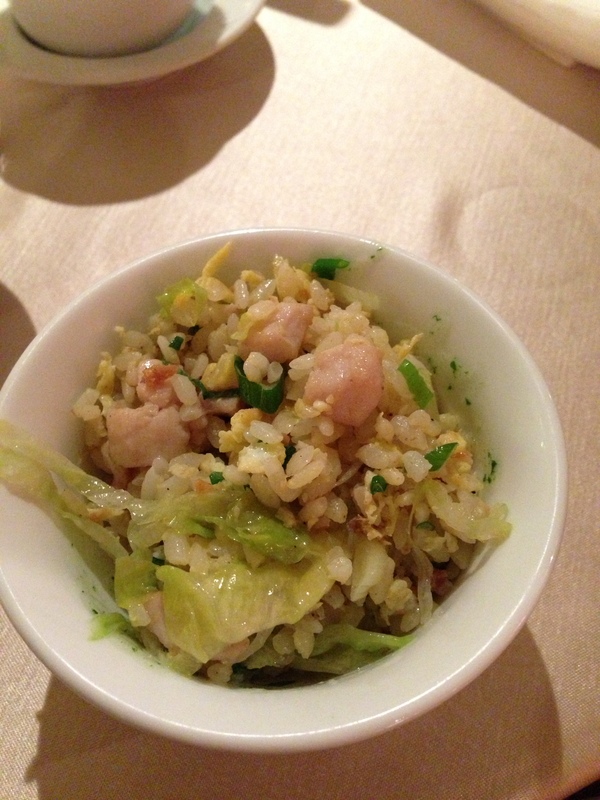 Either way, it was a well made fried rice with fresh and juicy pieces of fish. Dessert was just as varied as dinner where there were many things that were new to me. 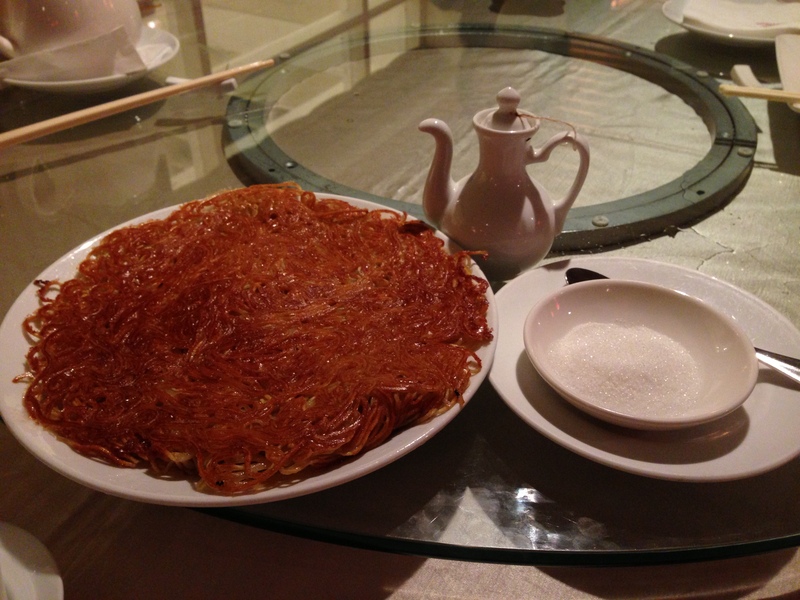 First, there was a crunchy noodle pancake which you first had to put sugar on it and then pour some vinegar over the sugar. It was a strange yet satisfying mixture of crunchy fried noodles along with a sweet and sour flavor profile that complimented the bold texture. 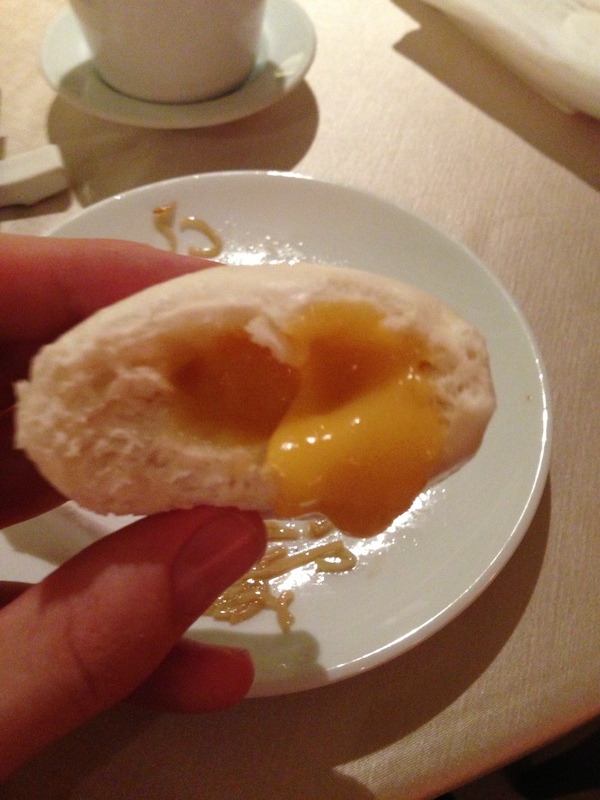 I then had a sweet egg dumpling that had a similar soft exterior like the bbq pork buns, and the inside was slightly runny but very sweet. Then there were three bowls of goo that all were delicious. I felt like Goldilocks in the three bears’ house minus the flaxen locks and risk of being eaten by wild animals. 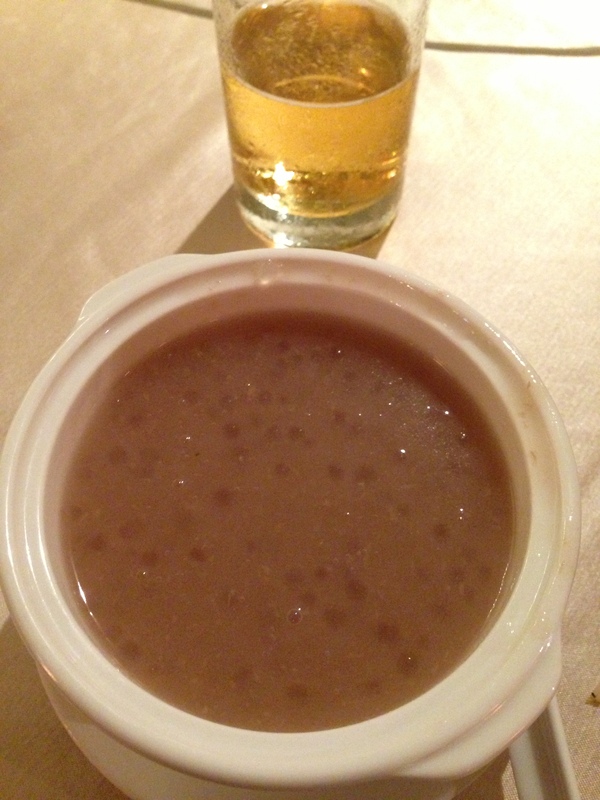 First, there was the taro root pudding which tasted like a taro root which can only be likened to a less intense sweet potato. 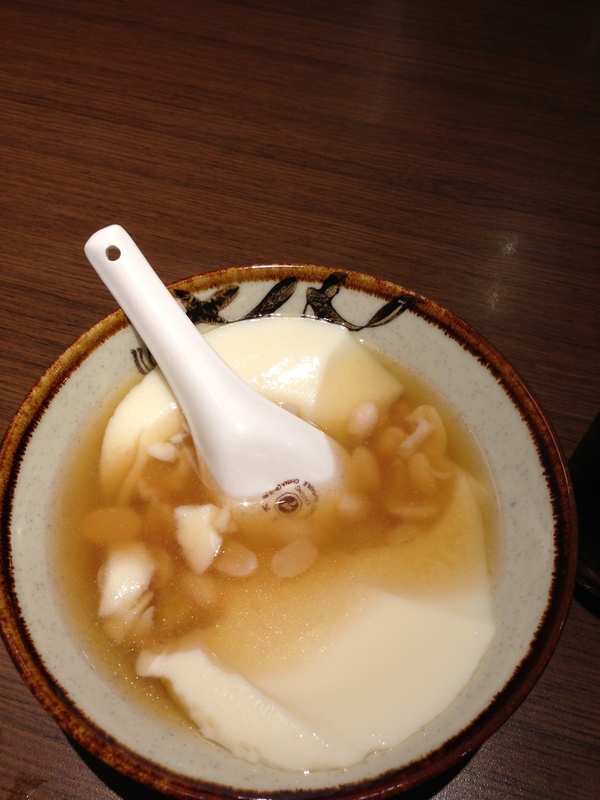 The second bowl was filled with tofu pudding which didn’t leave any sort of impression on me, but the last bowl definitely did. 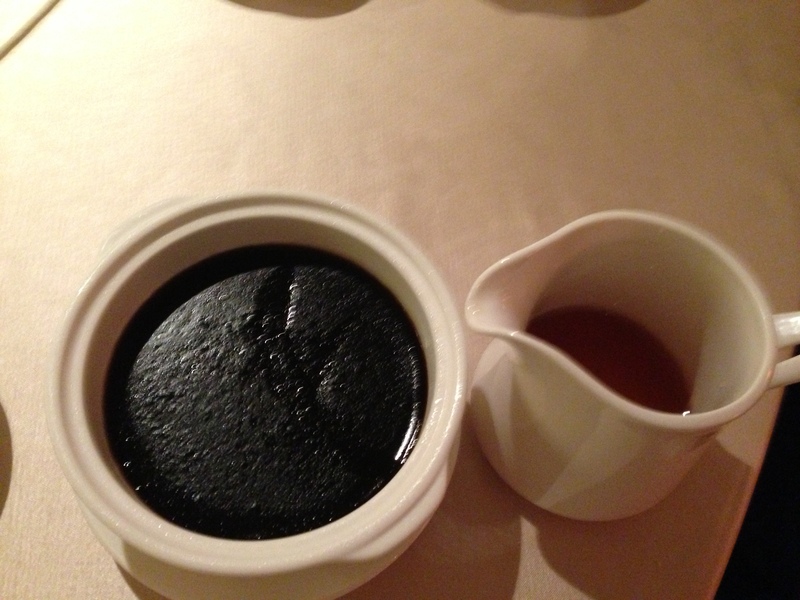 It was filled with turtle jelly. It’s made from turtle shells and a bunch of Chinese herbs, and it’s used in traditional Chinese medicine to treat a variety of ailments like acne and muscle aches. This was the most unique of the trio since it was like eating jello infused with a slightly salty and very herbal Jaegermeister. The honey that came on the side cut through some of the intense medicinal ingredients though. 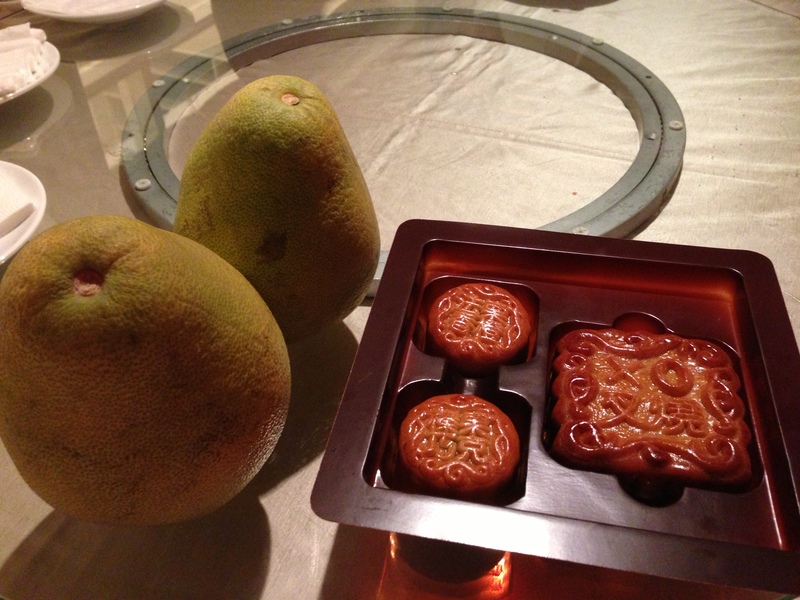 Finally, we ended the meal with the traditional foods of the Moon Cake festival: the moon cakes and pomelo. The moon cakes were delicious as the buttery, crumbly dough gave way to a chocolate interior for one, chestnut and orange for another, and red beans for a more traditional one. 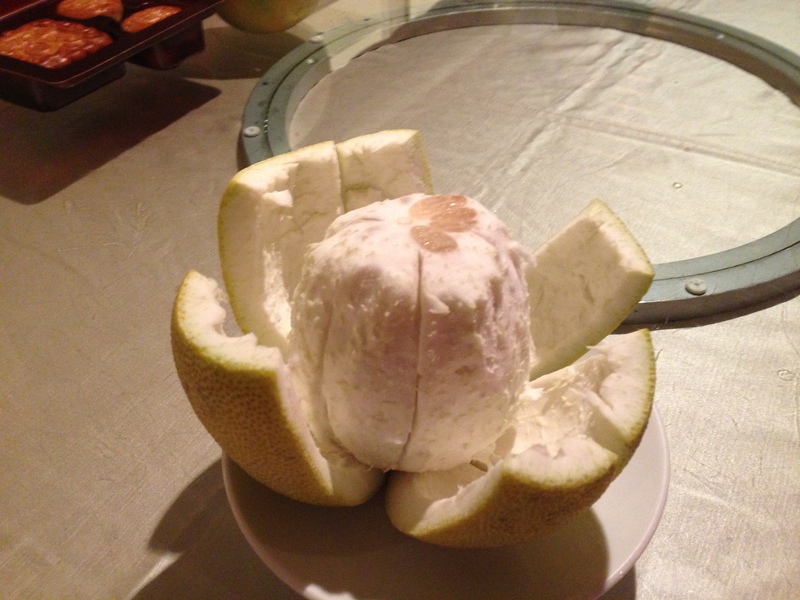 As for the pomelo, I could only liken it to a love child between a lime and a grapefruit in appearance. Po-po (grandma) told me I should wear the rind on my head as part of the moon cake tradition with their family, but I broke it to her that my head was too fat to accomplish such a feat. Instead, I enjoyed the slices of this fruit which looked like slices of white grapefruit with a similar sweet and acidic taste profile, but it had smaller seeds than a regular grapefruit. It was a bittersweet end to a wonderful meal with a very generous and caring family that I was grateful to be with on such a special occasion. I really appreciated it. Next post I will be eating random objects out of a bubbling cauldron of soup. Posted in Chinese, Far East Asian Cuisine and tagged beef, blood, bread, Chinese, chocolate, duck, egg, fried, soup, turtle. Bookmark the permalink. The ginger beef looked fantastic! Also the deserts, very unique in their presentation.